Boys bring brooms to the yard ! I'm just a girl, Lucky me! something now.' 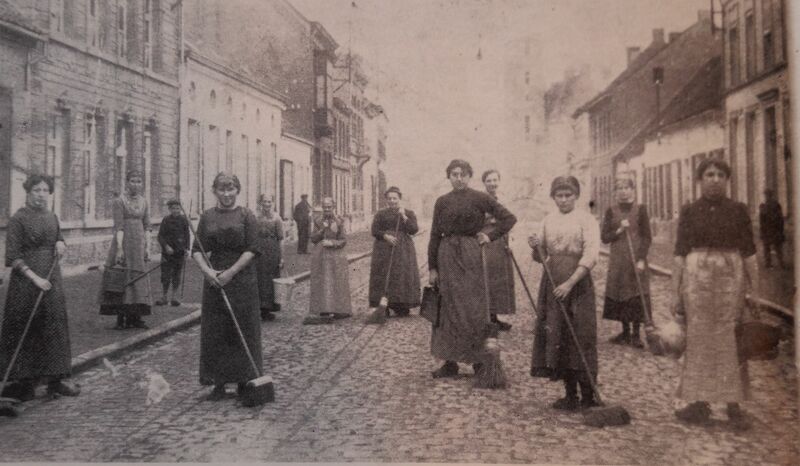 Armed with brooms and motivation to live a different world, they offered us a clean slate. Now, 100 years later, I find that this clean slate has not been used enough. 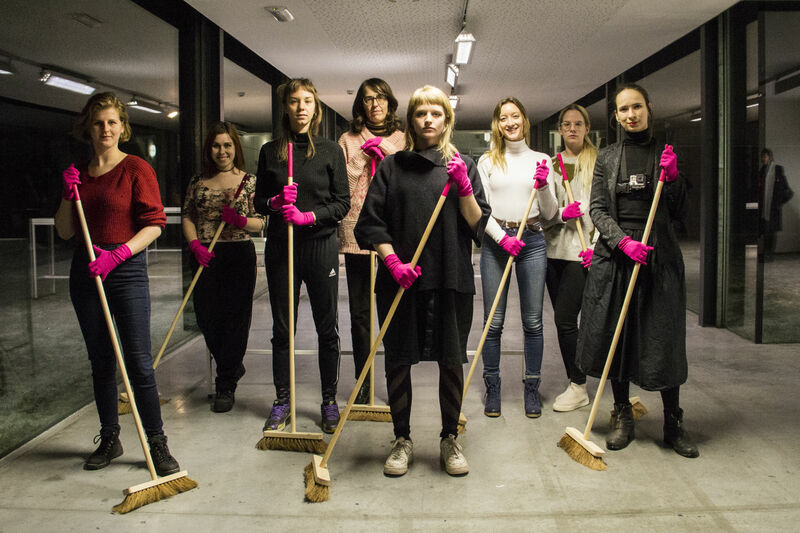 As a homage, as an urgency, as personal research into how to build an artistic practice that brings awareness to the offensive behavior towards women in private and public spaces – I bring women, stories, actions and brooms together. 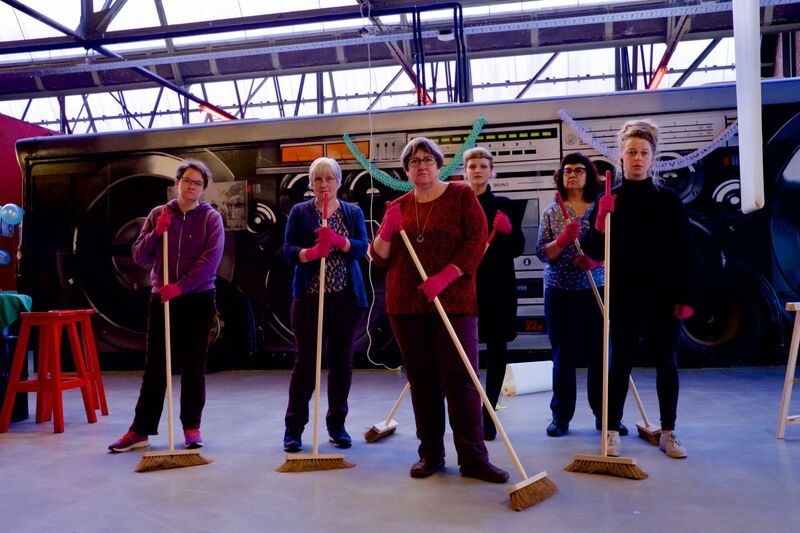 We go to places where women experienced sexism and patronization and we clean them. 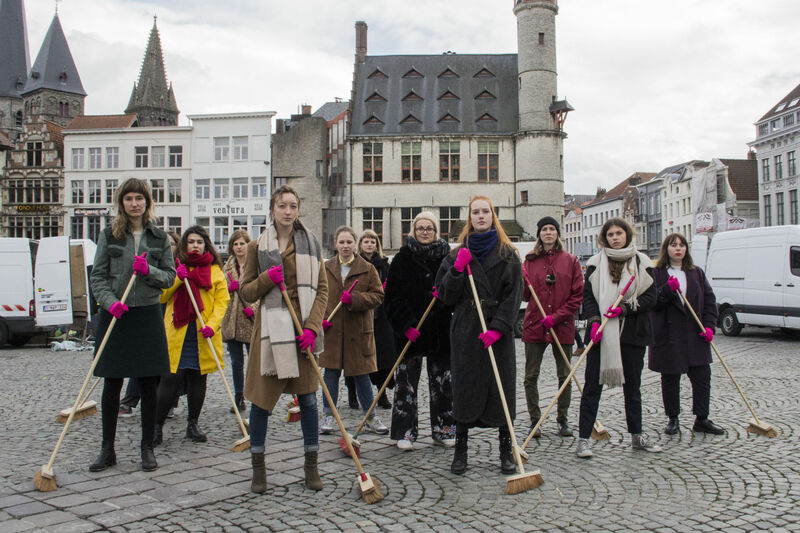 Literally with our broom, symbolically with the message of our performance and experientially through the thoughts and discussions our action provokes in us and in the public. 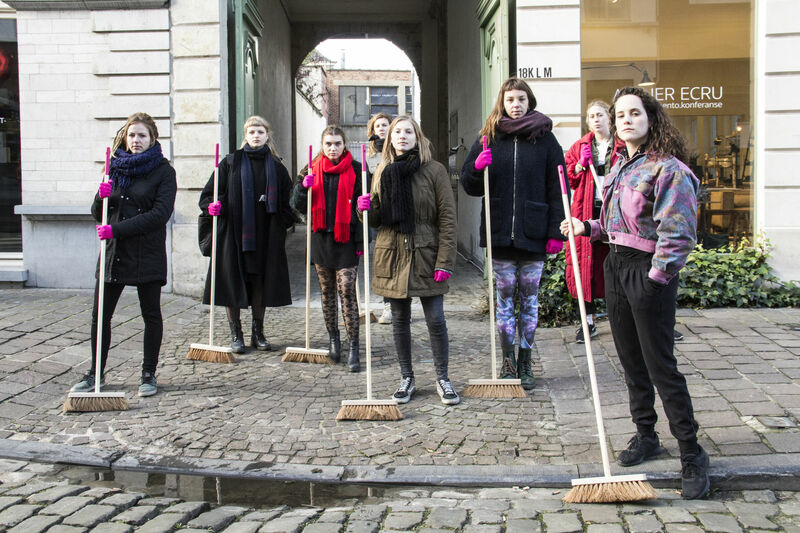 5 places that need to be cleaned were already detected in Ghent and Kortrijk.